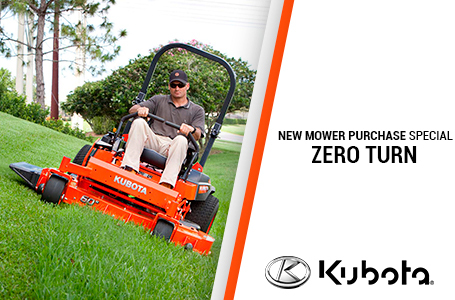 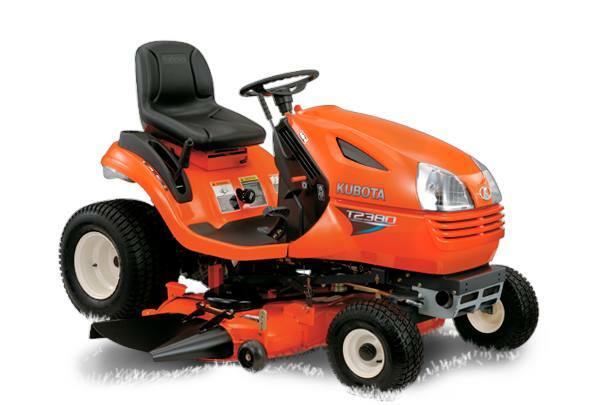 Kubota's T2380 premium low-noise lawn tractor is equipped with a powerful 22 HP Kubota gasoline engine and features that help the most dedicated of property owners take control. 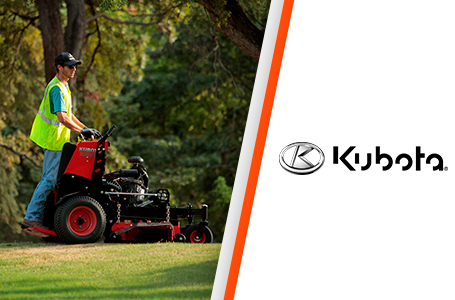 Easily change between side-discharge, mulching and grass catching with Kubota's "Infinity Deck" and effortlessly adjust deck height from the operator’s seat. 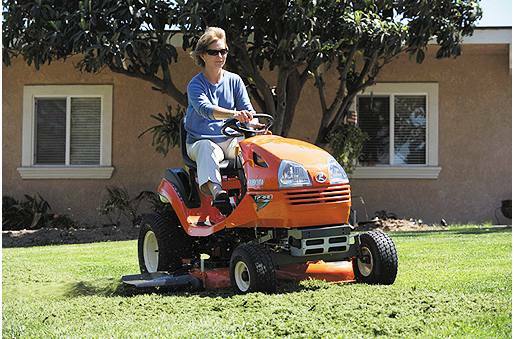 Plus, take advantage of a full line of available performance-matched attachments.